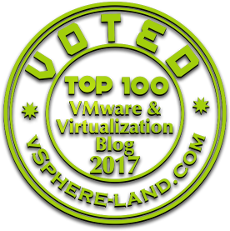 While delivering another VMware vSphere class this week got another question where in they were looking for downgrading the version of the ESXi host. In today's date when we are talking about upgrading ESXi from 6 to 6.5, Did i just mentioned 6.5 yes those of you who are not aware about vSphere 6.5 here is the link for your reference Introducing VMware vSphere 6.5 announce yesterday at VMworld Barcelona why would someone like to degrade the version of ESXi. Well the answer which I got was pretty interesting which made me test it in My Home Lab environment. The Answer "We accidentally applied one of the Patch in our Environment post which ESXi got disconnected from vCenter Server and we are not able to add it back again" So we want to go back to the last good known configuration of our ESXi server. It was time to install VMware vSphere Update manager in my Home Lab and then test it by adding a patch to one of my ESXi servers and find out the possible way to roll it back to an old one. 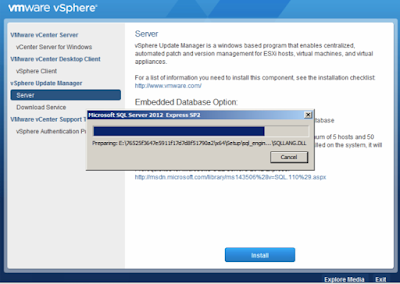 Installed update Manager using SQL Server 2012 express embedded database. And also downloaded the available plugin for vSphere Update Manager client using VMware vSphere client. After the successful installation of Update Manager created a host upgrade baseline so as i can upgrade the ESXi 6.0 to ESXi 6.0 Update 1 and roll it back later to same version. 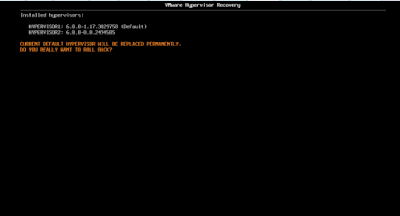 Before we begin with the remediation of our ESXi we also need to attach the recently created baseline to the same ESXi host, Stage it and then remediate it. Post successfull remediation connected to my ESXi host and check the old build and the recent update 1 whether it was installed successfully or not. Time to roll back our ESXi to previous version at the time of rebooting press Shift+R (KB Article1033604)which will provide us the details of the recently installed update and we can roll it back to an older version. *Note: Installation/Configurations/Specifications methods used here has been Tested in My Home Lab Nested Environment. Let's connect back to ESXi using SSH and have a look again on the version of ESXi we are running with and we can see the recent update 1 build 3029758 we installed has been rolled back and my ESXi host is again running on the old version i.e ESXi 6.0 build 2494585.